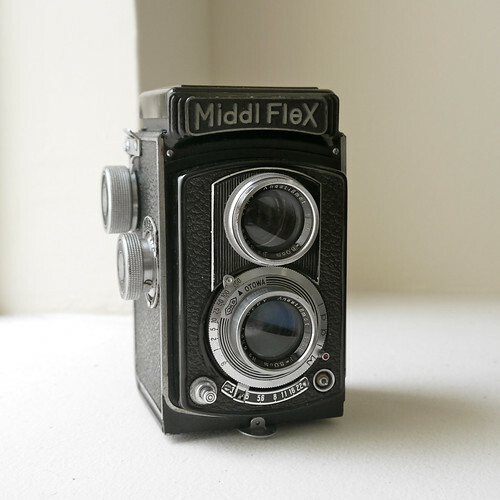 Otowa Kōki Seisakusho (音羽光機製作所) is a Japanese company that made cameras called "Middl" (not "Middle") around 1952–3. Its logo is the scheme of a concave lens element, with the letters OKS inside (surely for Otowa Kōki Seisakusho). This page was last edited on 22 July 2012, at 22:06.